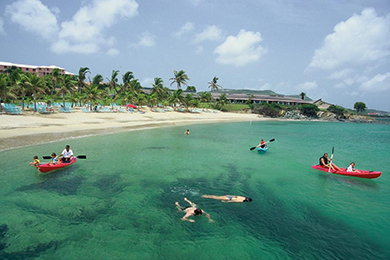 The Buccaneer is the best resort for families in St. Croix, and perhaps the U.S. Virgin Islands as a whole. Spanning 340 lushly landscaped acres, it’s easy to get lost in all the fun, from water sports, sparkling pools and boat trips to a kids’ club, family treasure hunts and crab races. 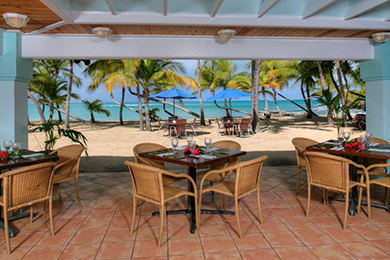 The resort also offers several restaurants and serves complimentary breakfast — a rarity at a luxury resort like this. 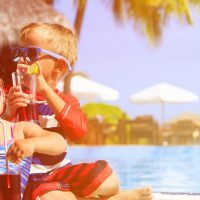 Then there’s a spa, hiking trails, golf, tennis, art lessons, babysitting- you could easily spend your entire vacation at The Buccaneer. These suites have one king or two queen beds and a separate room with two twin beds for kids (and one of them turns into a trundle as well!). 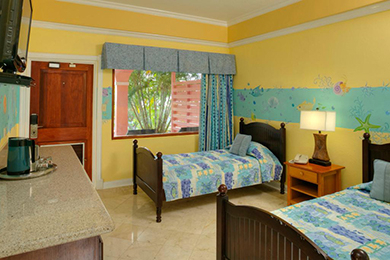 The kids' room features playful dÃ©cor and a separate TV and bathroom with a tub. This house may be the most luxurious place we've encountered! It features six bedrooms, a private pool, a full kitchen and wraparound terrace. It is a great option for weddings or family reunions. Enjoyed the casual elegance and incredible hospitality of this beautiful hotel and staff. From the entry we were welcomed by a gorgeous set of palms that relaxed our travel weary family. One of our luggage items did not make the transition and immediately the lobby staff worked with our airline and family to ensure its safe delivery that very night. I cannot express my appreciation for the staff who answered all our questions and assisted us with all our activities with unending patience and smiles. The breakfast buffet is beyond delicious & a wonderful easy start to the day for families needing to feed their hungry kiddos. Their is so much fun entertainment to choose from each day including stilt walkers, fire dancers, crab races, music & more. Plenty to entertain young ones in & around their beautiful beaches with all sorts of games to supplement swimming. 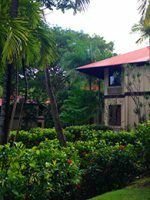 One can relax in the peace & quiet of grotto beach & the pool area or swim at the lovely and blue mermaid beach, or pick through shells at the secluded whisper beach. Early mornings are perfect for walking the property but the gym offers a fantastic refuge for fitness when looking g to beat the midday sun. And the rooms/beds are so comfortable & clean!!! Cannot say enough great things about the Buccaneer. 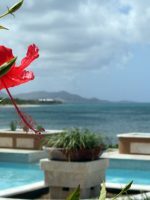 It’s also perfectly located to enjoy St. Croix, it’s history & the people. The hotel offers several stretches of beach to enjoy. 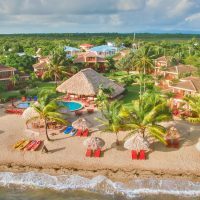 The main, centrally located beach is especially great for families, with water sports rentals -- kayaks, paddleboarding, you name it -- and land games, such as croquet. All beaches are open to the public, though they never feel too crowded. The hotel offers a few pools. The Grotto Pool isn't reserved for adults, though is quiet than the others. Available from 9 a.m to 4:30 p.m. daily, Kids' Camp offers games, crafts, movies and more for children ages 4 to 12. The resort hosts family treasure hunts and crab races each week -- ask for a schedule of events when you arrive at the resort. 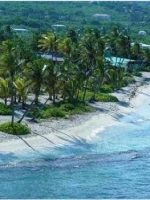 The hotel offers tours to Buck Island via Caribbean Sea Adventures. Complimentary breakfast is served at The Terrace, which offers stunning views of the ocean. It includes everything from fresh fruit and cold and hot cereals to full entrees, such as French toast and omelettes. The Mermaid serves kid-pleasers, with a kids' menu that includes sandwiches and pizza. Mom and dad will enjoy grown-up versions of those items, along with seafood and salads. The Mermaid is located in a covered building outside, and is just steps from the sand. Located by the Grotto Beach and Pool (a quiet area), The Grotto Grill serves hamburgers, hot dogs and other hot weather favorites, plus refreshing cocktails for mom and dad. In-room is available during regular restaurant hours; an additional fee applies for delivery. Wi-Fi is complimentary at the resort. It's a workout just to get around the resort, but if you're looking for a traditional gym, The Buccaneer has that, too. It's open 24 hours and has free weights, cardio equipment and universal machines. Classes and personal training are offered for an additional fee. The resort also has a running trail and hiking paths. The hotel recognizes the holidays, with visits and gifts from Santa in December and an Easter egg hunt in the spring. 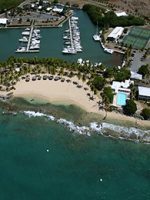 The Buccaneer is consistently busy, though the winter months are especially popular throughout the U.S. Virgin Islands. We recommend a visit in the fall or summer. 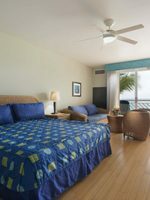 Mid-April to mid-December, the hotel offers discounts, such as 50 percent off rates for a second room. The closest airport is Henry E. Rohlson Airport, about 20 minutes away. 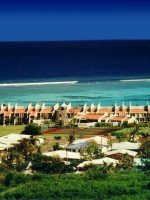 You will not only need a car to get around the island of St. Croix, but may also need one to get around the expansive resort. The resort also has drivers who will help you get where you need to go, and also help you when checking in and checking out. There are a multitude of opportunities for romance at this resort. You could enjoy a nightcap at one of the lounges, go for a stroll on the beach, or book a massage at the onsite spa.